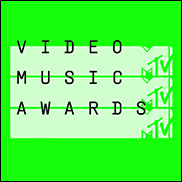 LOS ANGELES (CelebrityAccess) — The 2015 MTV Video Music Awards was held on August 30th. The 32nd installment of the event was held at the Microsoft Theater in Los Angeles, California, and hosted by Miley Cyrus. Taylor Swift led the nominations with a total of 10, followed by Ed Sheeran, who had six. Another nominee, Kendrick Lamar, received four nominations for his video "Alright." However, the videos for Swift's "Bad Blood" and Flying Lotus' "Never Catch Me" (both of which he features on) earned seven and two nominations respectively, bringing his total number of mentions to 13. Swift's "Wildest Dreams" music video premiered during the pre-show. [ A scantily clad Cyrus also announced and released her fifth studio album Miley Cyrus and Her Dead Petz, after her surprising performance at the end of the show. Taylor Swift won four awards, including Video of the Year and Best Female Video. She also presented the Vanguard award to Kanye West putting their “Bad Blood” behind them. Kanye spoke for an uncomfortable 12 plus minutes and announced his 2020 candidacy for President. Video of the Year: Taylor Swift featuring Kendrick Lamar, "Bad Blood." Male Video: Mark Ronson featuring Bruno Mars, "Uptown Funk." Female Video: Taylor Swift, "Blank Space." Hip-hop Video: Nicki Minaj, "Anaconda." Pop Video: Taylor Swift, "Blank Space." Rock Video: Fall Out Boy, "Uma Thurman." Artist to Watch: Fetty Wap, "Trap Queen." Collaboration: Taylor Swift ft. Kendrick Lamar – "Bad Blood"
Video With a Social Message: Big Sean featuring Kanye West and John Legend, "One Man Can Change the World."